It's the time of the month again! May seemed long but flew by so quickly, and very eventful. This month, the weather here in Canada is kind of weird lately, we had nice day, cold days, hail, rain, thunderstorm... But that didn't stop me from trying different products. 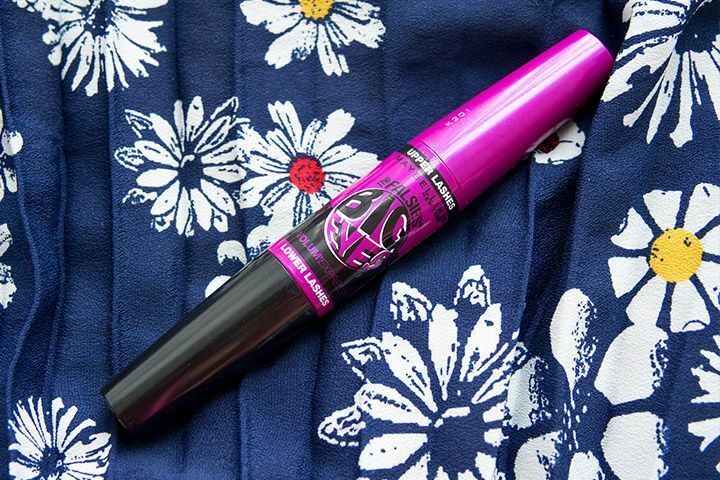 I'm really enjoying using this mascara. It is my go-to one at the moment. 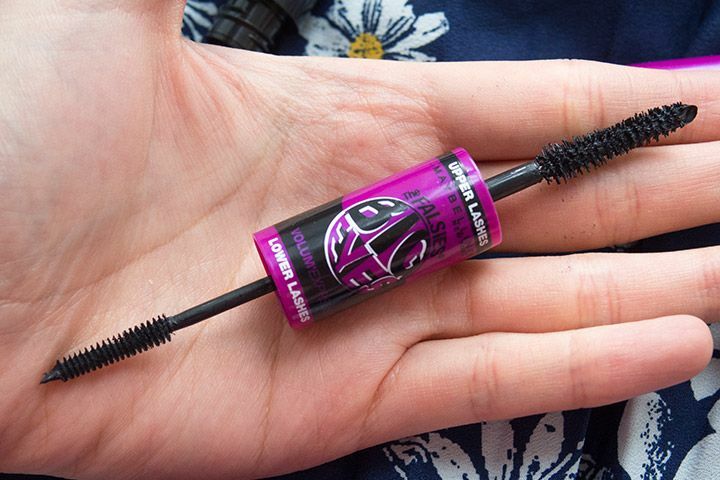 I stop wearing mascara on my lower lashes because it always smudge, but this one is keeping the smudginess to the minimal. It does still smudge a little, but nothing a quick wipe won't fixed. I find that when it's less prone to smudging when I wear a full face of makeup (sometimes I just wear concealer, not foundation). This has been my go-to lip balm ever since the Sun has been out more frequently because it has SPF 25 in it. I like to use it first thing after I cleansing. 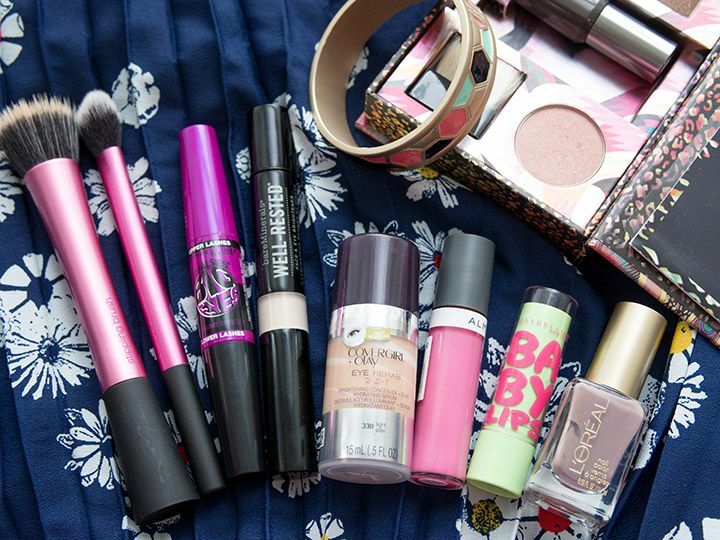 I keep a few different Baby Lips here and there in my purse, on my work desk, in my pocket. I guess I reach for this the most 'cause it's in my purse, but it's also because it gives a nice subtle tint to your lips. I swear I like Pink Pout more, but Blooming is just an easier to pull off colour for everyday use. It's a quick pick-me-up item that I don't need a mirror to apply. I try to use it when it's not windy though because as non-sticky as it is, it still catches some of my hair :/. 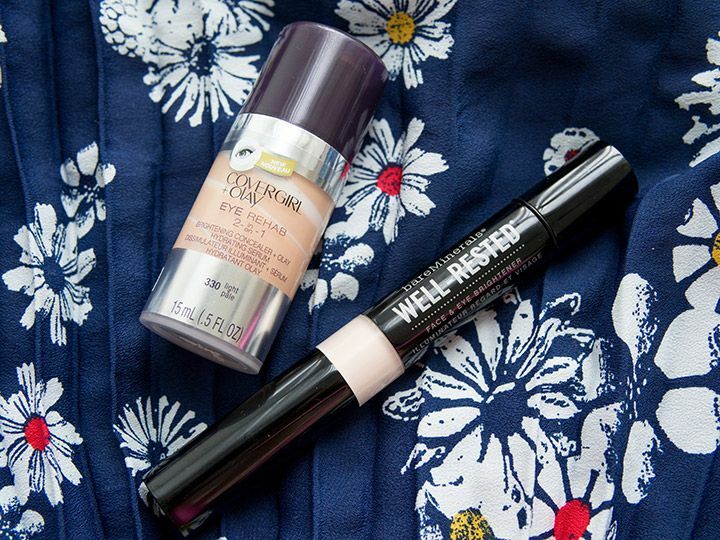 I have heard so many good things about the CoverGirl+Olay Simply Ageless Concealer. Now they have an updated version of it. I have been reaching for it every day for my undereye concealer. I like that it is hydrating and does a good job concealing for my everyday needs. However, the shade light is a little dark for me, so I have to mix it with a lighter concealer to get the right shade. The newest makeup kit from Benefit. I have been wearing this kit a lot ever since their flash sale a couple weeks back. I actually enjoy the Gimme Fever Cheek Powder the most. It doesn't look like anything in the pan but on your cheeks it gives a very natural flush colour. I have recently reviewed here and currently holding a giveaway on this exact kit! I have yet to do a full review on the new formula of L'Oreal Paris Colour Riche nail polishes. Greyt Expectation is one of the 9 new shades with the new formula. I just love how easy to apply this is, and Greyt Expectation is the colour that I have tried on both my mom and myself. They're such great quality face brushes that I keep reaching for them; the Setting Brush is actually my most used one this month! 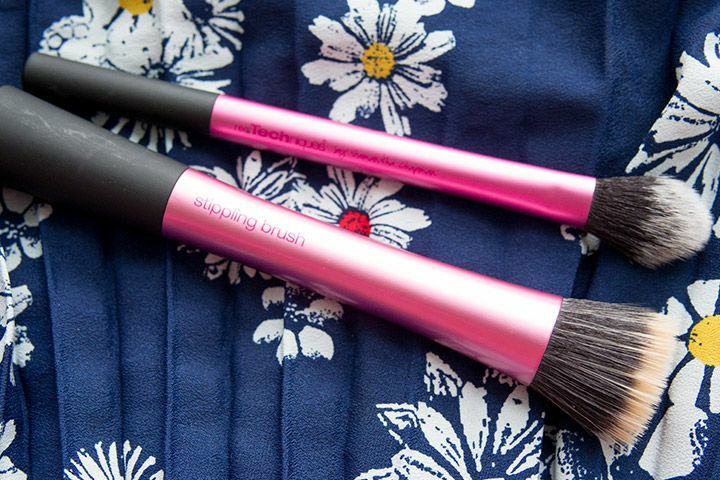 I have done a full review on these brushes, so check it out to see why I rave about them so much :). 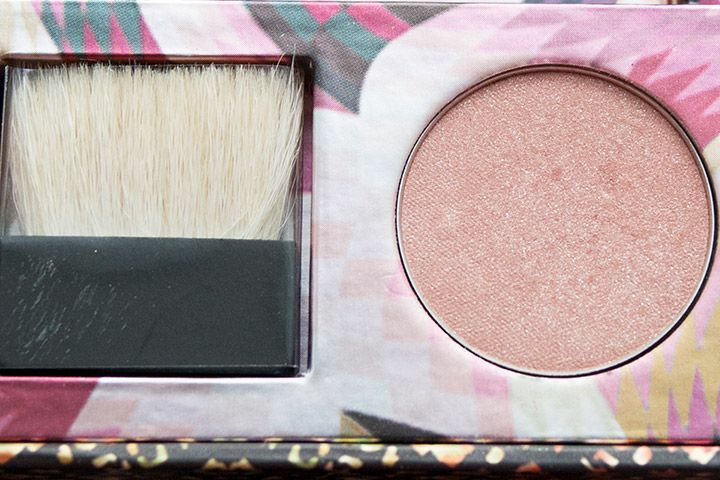 A gift with purchase during the Benefit The Rich Is Back Makeup Kit Flash Sale event. It is custom made by Foxy Originals. It has a good amount of weight and non scratchy material. 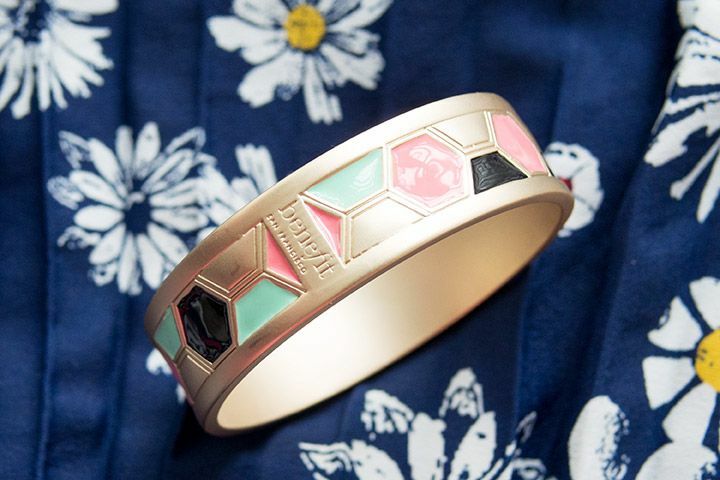 It has a great design that compliments the Benefit theme, while also goes with a lot of my outfit. My new camera that I have been using for the past two weeks for pictures. The PanaLeica 25mm f/1.4 is not the best lens for product photos (I need a macro lens... saving up for that), but it's a great portrait, all around lens that I could basically use for most things. I can't wait to travel with these two bad boys! Don't forget to check out the current giveaway on The Office Chic for the Benefit Cosmetics x Matthew Williamson The Rich Is Back Makeup Kit! great favourites! I really need to try the Real Techniques brushes, they look awesome! 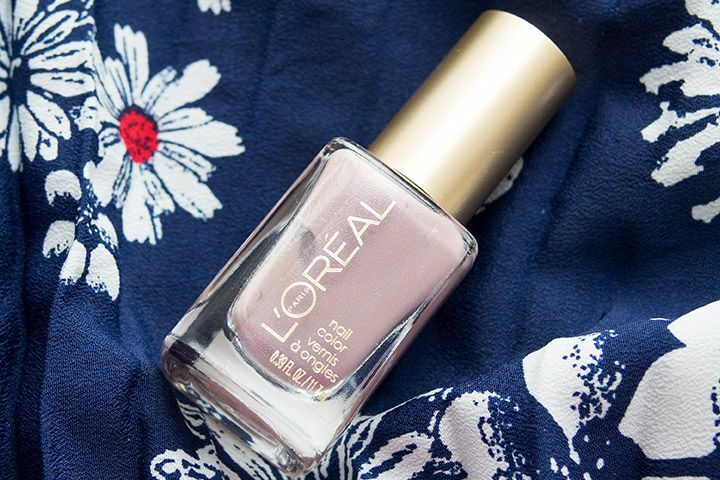 I can't wait for your L'oreal polish review post! That colour looks right up my alley! The mascara should be out by now. I really enjoy using it! I love the new l'oreal brushes for the polishes, so fantastic. The real Tech brushes are quickly becoming my favourite brushes to use.